Rating: [R16] Violence and sexual abuse. 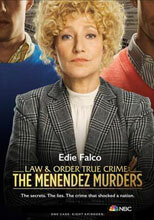 Aroview: The first season of the crime anthology series, Law & Order True Crime, dramatizes the trial of Lyle and Erik Menendez, who were famously convicted in 1996 for the murder of their parents. Eight episodes.